We hear how children hate school and would far rather be doing something else. But they have to stick it out, they have to stay with the system until the system is done with them. It’s great to hear from parents that they acknowledge that their children hate school, I love that, it’s a step in the right direction. So many don’t. But just as the kids don’t know there’s an alternative, neither do some parents. I’ve met adults who don’t even know that homeschooling is legal. The curent generation of parents know nothing different, everyone they know probably went to school. But that is changing and eyes are opening. There is an alternative, a good one, an alternative that is gaining popularity fast all over the world. Homeschooling ( or insert home education, unschooling or worldschooling, it doesn’t matter) is up 40% in the UK in recent years. Australian numbers are estimated to be up 300% in some regions, with a 50% increase in NSW since 2006. This is despite vigorous registration and reporting regulations in the state, which, honestly, are a huge headache. So why are so many parents still not homeschooling despite their kids’ wishes? What do they think will happen if their children don’t go to school? They may not sit exams. They may not be as assimilated into the local community as thoroughly as those who go to school. Parents won’t get child free days. Parents will need to be pro-active and commit to their kids’ education. Ok, it’s fine I can see and fully understand that many parents don’t want the burden. Sometimes I think I’m nuts for doing it too. It’s a lot of extra work having the kids with me all day every day. I wouldn’t swap that for the world. But I do wish more kids were empowered to make choices. I do think it’s very sad to hear that kids are spending years in an environment they hate and that could even be psycologiically damaging to them. I want the kids to be free. So What’s The Reality of Homeschooling? It’s fun. I think it’s fun. You get to hang out with your kids all day every day, take them to museums, the zoo, all those ” educational” places when they’re not packed with weekend crowds. You get to buy loads of cool toys and gadgets to use at home, globes, telescopes, circuits and chemistry sets. You buy them awesome computers and they launch themselves into technology at lightning speed. You can spend days disappearing down rabbit holes of the kids’ making. The French revolution has been popular with one of my sons lately, the other has been making circuits and learning about capacitors. They come up with ideas and just run with them. You can help point them in the right direction, suggest resources and learn right alongside them. Of course not every day is like that, there’s a lot of very non academic days too, but every waking second your child is learning. It’s impossible to not learn. Being outside school gives them the opportunity to learn more of what they want to learn and learn more actual life skills. Remember, the real world is outside the school gates, not inside. Also remember that huge numbers of homeschooling parents are teachers. This is not because they’re better able to ” teach” their own kids. It’s because they saw the system from the inside and didn’t want their own kids in it. You know the goventment’s school curriculum isn’t a list of things it’s necessary to learn, don’t you? It’s just what the government wants you to learn. It suits their purposes. There are loads of other things you could be learning about. If in doubt read a curriculum, they’re all online, see what it is your kids will actually be learning in school to tick all the state boxes. Is it more expensive to keep them home than send them to school? I don’t think it is. You don’t need to buy school supplies, uniforms or lunch box food. 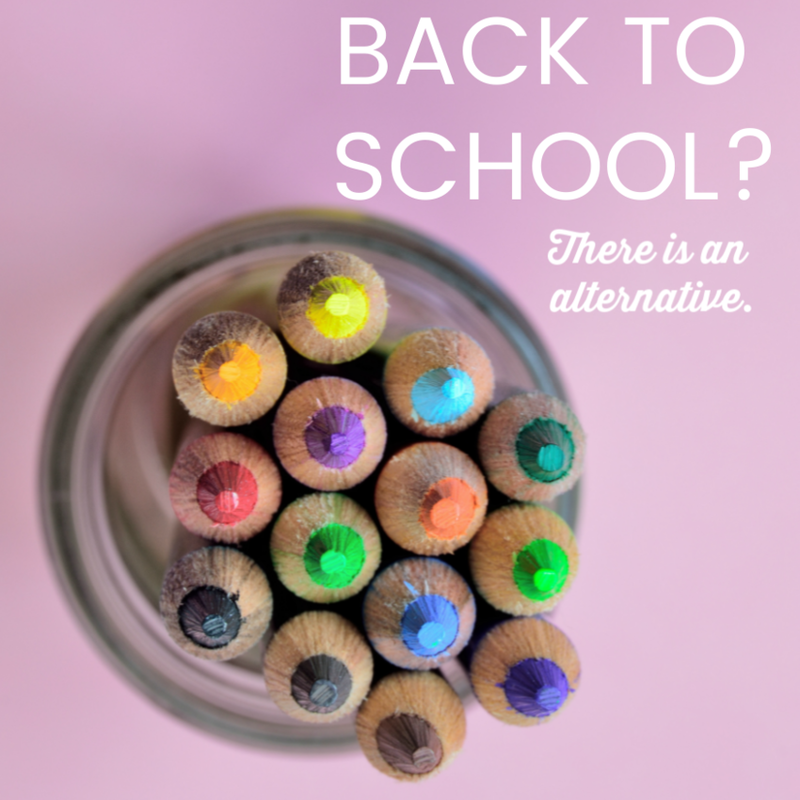 You don’t have to drive them to school and a lot of the homeschooling resources you have at home, well, maybe you’d have bought them for your kids anyway. Maybe instead of some junky toy you buy them something educational or a bit more useful for Christmas. I don’t know, but I don’t think it’s more expensive. You can make it as cheap or expensive as you like. There are loads of free ( and paid) educational resources online. Have you seen Khan academy? It doesn’t take up too much time either. You don’t sit them at the kitchen table from 9am to 4pm. It doesn’t look like that. If you decide to strictly follow a curriculum ( and most don’t) you’ll find that you get through content way, way quicker at home than they ever could in school. We once did a whole year of maths in 2 weeks. There are usually plenty of other homeschoolers around. We struggled, living in a small isolated town, homeschoolers were few and far between, but back in our home city, London, there were thousands. You could go to a different homeschool event or meeting every day if you wanted to. Your kids can still play team sports if they want to, all those clubs and after school classes are still available to anyone. My elder son hates sports, he’s very glad to not have to be involved with school sports, but he’s walked to Everest Base Camp, so he’s not lacking in fitness. I hated school sports too, plenty of kids do. The non assimilation into the local community thing isn’t an issue for us as it’s very unlikely we’ll live in that community in future. How many people stay in the towns they were born in for a whole lifetime? Our friends and family are scattered all over the globe. But the exams, how will that pan out? Well of course they can still sit exams and go to university. There are plenty of ways to do that not involving school. However, I’m of the opinion that it’s unnecessary, so until my kids come to me wanting to get paper qualifications I won’t be pushing them down that route. They’ll know what they need to know, we’ll cover the information, but actual exams, I don’t think they will but it will be their choice in a few years. People can and do sit exams and enter university at any age and honestly..isn’t it nuts to ask kids to settle on a career path when they’re still so young? I didn’t find my calling until I was in my 40s. I think the above are unnecessary because my degree is totally unrelated to what I do now and everything about my current job is self-taught. You do not have to get a job working for somebody else based on school qualifications ever if you don’t want to. There are many other possibilities. My brother is the same, I know many people who’ve never relied on their school qualifications in their business lives. Some say we homeschoolers are a privileged elite to be able to do what we do. It’s not true. I know single mums who homeschool. Where there’s a will there’s a way. So just a gentle introduction to our world. We homeschoolers are becoming more and more main stream. There’s no stigma of religious or hippie nut-jobbery in homeschooling any more. I know a lot of very normal families from every background and income level. You will find others just like you in the homeschooling community. So what have you got to lose?